Fully adjustable number bib that goes over the shoulders and clips at the waist. 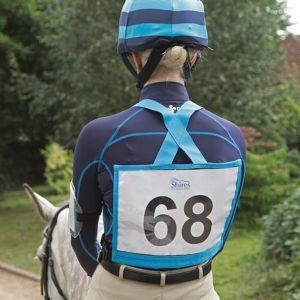 Clear plastic front and rear, with shoulder straps and stretchy side straps which fastens with a plastic roko buckle. One size only in black, blue or pink.